October 16, 2014, Keelung, Taiwan - Lian-Li Industrial Co. Ltd, today announces the brushed aluminum PC-T80 DIY Test bench. An update of the PC-T60, the PC-T80 features the same high quality, simple design that has made its predecessor a favorite across the DIY community, while adding native radiator support and a more modular design. A dual functioning bracket allows for the installation of radiators up to 360mm or three 3.5'/2.5” HDDs. The HDD cage and power supply location in the lower zone can be easily exchanged, and if desired an additional HDD cage can be installed in the lower zone. 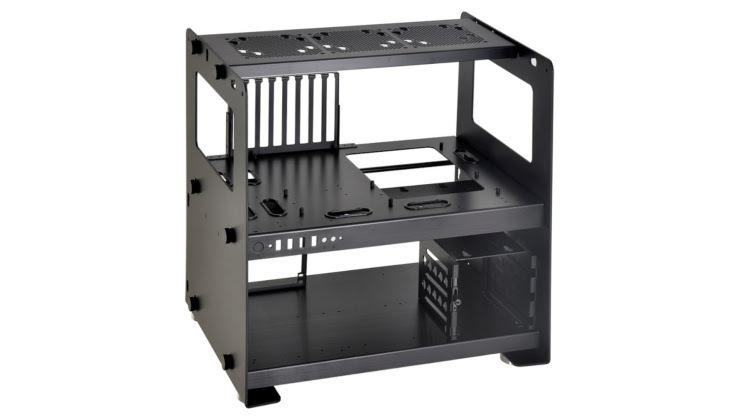 The bottom zone also allows for the hard drive cage and power supply to be mounted in several different positions according to the builder's preference. 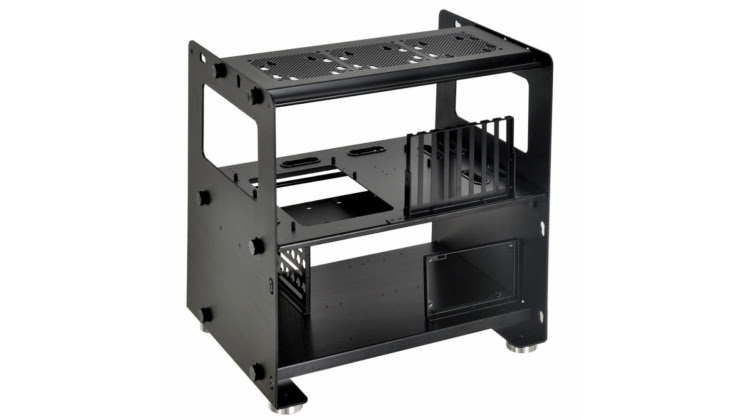 An additional HDD cage can be mounted in the middle position. The PC-T80's motherboard tray is pre-cut for optional installation of USB and multimedia port connector cables. Hot swap backplanes can be added to the modular HDD cage. The PC-T80 will be available in silver (PC-T80A) and black PC-T80X in the UK for the suggested retail price of £109.